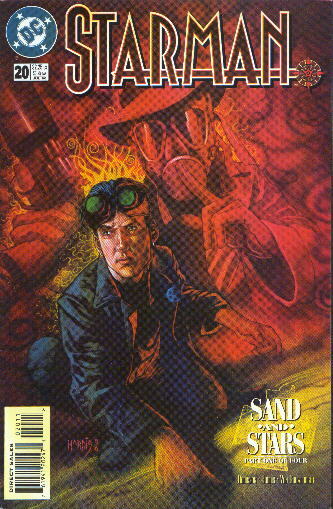 The story starts with a dream of Jack hugging Nash and being watched by a third figure: Wesley Dodds: The Sandman. 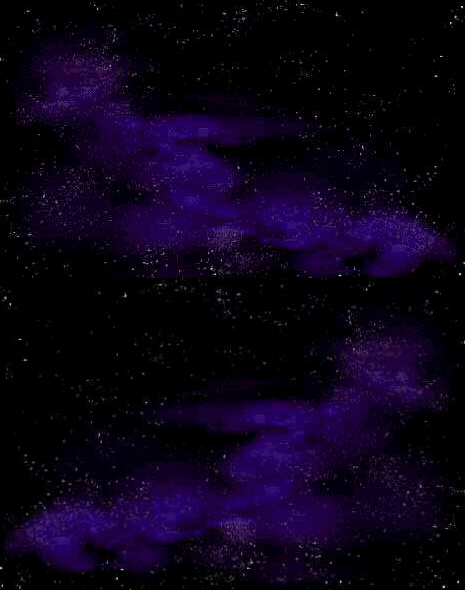 Jack wakes up, and disturbed by the dream, he goes to talk to his dad. He tells Ted about the medal that Nash was searching for and how it was taken by someone who The Mist fought early in his criminal career. Questioning his dad about it, Jack finds out that the Mist once fought against the Sandman in New York, where he was an ordinary crook before he gained his superpowers and moved into Opal. We cut to briefly to New York, where we see a man named Croft. He is killed in a junkyard by two masked men who set a pair of wild dogs on him, despite his protests that he gave them everything they wanted. We then cut to a different part of New York where Jack, inspired by the dream, has come to meet Wesley Dodds. Jack admires Wesley out of all the older heroes because, like Jack, he wore a simple outfit (three-piece suit with a gas mask) while most of the other heroes of that time jumping about in their long-johns. Still, as anxious as he is to meet Wes, Jack is even more in awe of his longtime girlfriend, Dian Belmont. Dian, we find out, is Jack's favorite writer. Jack goes into full fanboy mode when she answers the door and freezes up until she takes him to see Wesley. Wesley welcomes Jack warmly, saying that while he was never as close to his father as some heroes, he wished Ted had come by to visit. After finally finding the words to say what a fan he is of Dian's writing, Jack asks Wesley about his fighting the Mist. Before he can explain about the medal, a scream is heard in the hallway. Running into hall, Jack and Dian see the nurse of one of the other tenants, screaming that her client, John Blaine, was just murdered. A man in a green comedy mask and purple tights runs down the hall, and is identified as the killer by the nurse. Jack chases after the masked man and follows him to the roof. The two fight, the masked man managing to disable Jack. 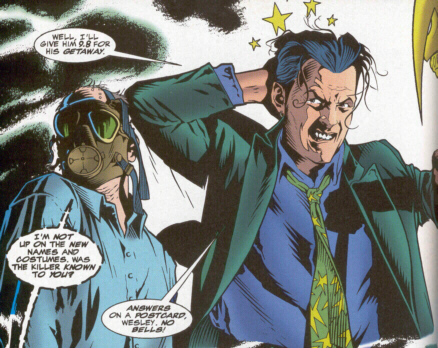 The masked man is about to kill Jack, when Wesley appears in gas mask on face and gas-gun in hand. Not wishing to fight two superheroes, the costumed man escapes, leaving Jack and Wesley wondering who he was.